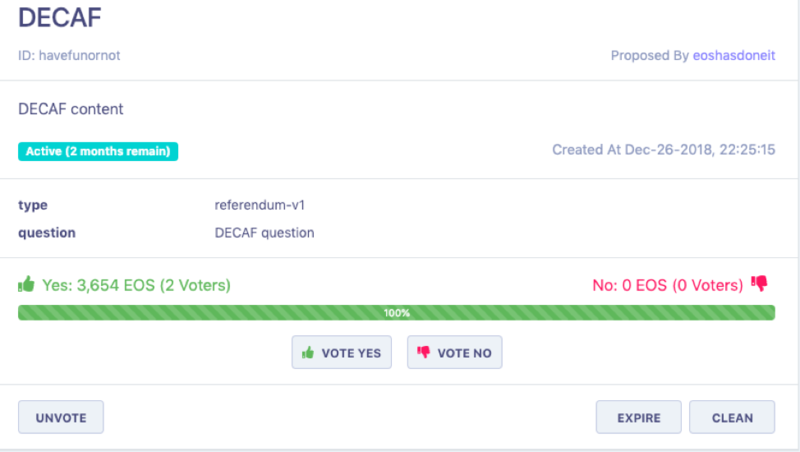 Welcome to the EOS BEGINNERS article on how to vote for a referendum proposal. 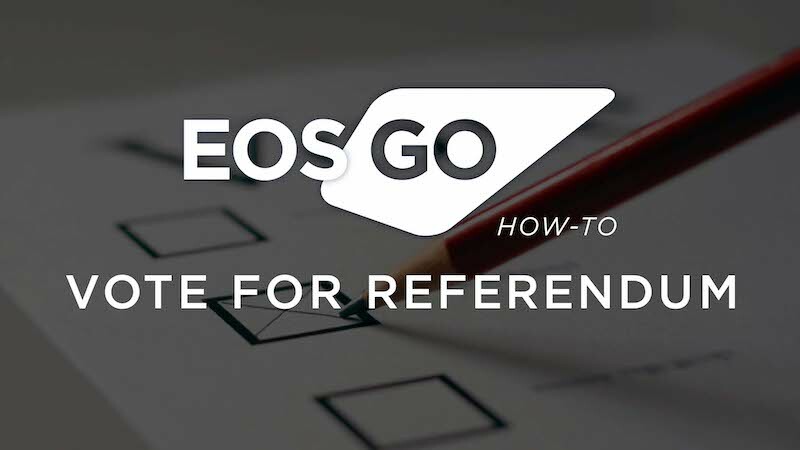 We will be guiding you on how to vote for a referendum proposal using our tool, EOSX.io. EOSX.io is a web wallet, block explorer, and account manager all-in-one. Another great block explorer that allow you to vote is bloks. A general vote by the electorate on a single political question that has been referred to them for a direct decision. 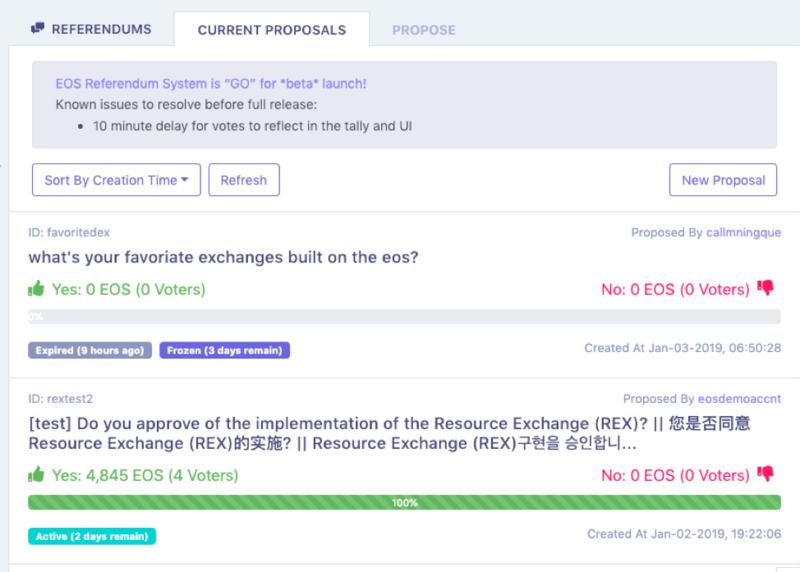 How does a referendum on the EOS mainnet pass? As outlined in article XI of the constitution, 15% participation of tokens and 10% more yes than no votes need to be sustained for 30 days within a 120 day period. The decisions token holders make will directly affect the price of their EOS coins. Referendums that pass will shape the culture of the mainnet and will either attract or deter potential developers and investors. NOTE: IF YOU USE A PROXY FOR YOUR BLOCK PRODUCER VOTES THE PROXY CAN USE YOUR VOTE WEIGHT TO VOTE FOR REFERENDUM. IF YOU DO NOT WANT YOUR BLOCK PRODUCER PROXY TO USE YOUR VOTE WEIGHT YOU MUST MANUALLY OVERRIDE THEIR VOTES BY VOTING FOR REFERENDUM DIRECTLY FROM YOUR ACCOUNT. Follow the download instructions and import your private keys. Scatter is vetted and approved by top EOS block producers, and is created by community champion NSJames. 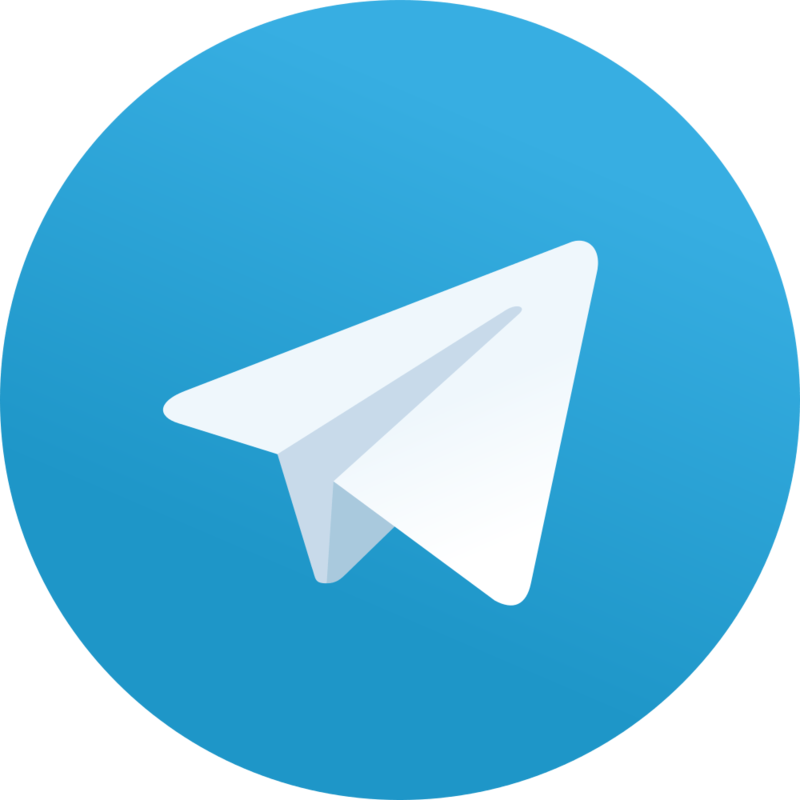 If you have any questions about Scatter, feel free to join their Telegram group. Once you download Scatter and import your keys, navigate to EOSX.io. Go to the Wallet drop down in the top right hand corner and select the referendums option. Once you navigate to the referendum page, EOSX will prompt you to connect to Scatter to vote. It will say Attach Scatter Identity; select the identity you want to use to vote. Once EOSX is connected to your Scatter you can vote. A list of current proposals will be listed click on the proposal you want to vote on to open up that proposals specific detailing. Below the given details you will see buttons that say “YES” (thumbs up) and “NO” (thumbs down). Once you are done voting for the proposals you want you can simply sign out of Scatter. If you want to propose something for referendum, navigate to the propose tab on the top right hand corner. 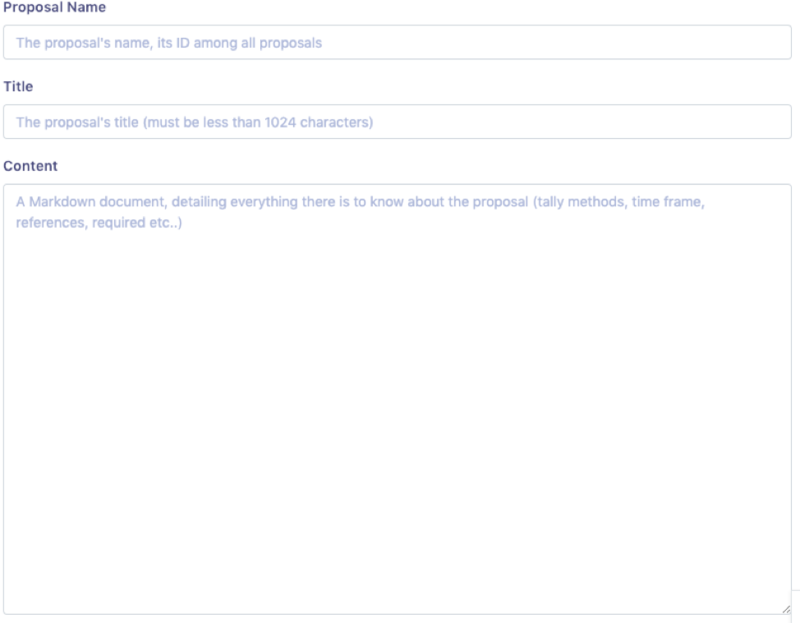 The proposal form looks like a simple google form; just fill out the asked information and hit submit. Once you have submitted your proposal you can look for it under the current proposals tab and see if your submission was successful!! If you want to triple check to ensure that your vote went through, you can navigate to your account using EOSX and check your recent voting transactions. Now you are all done! If you have any questions about referendum, or EOS in general, please join us in our Telegram group https://t.me/eosgo. EOS GO is funded by EOS ASIA and powered by YOU. Join the community and begin contributing to the movement by adding eos go to your name and joining the EOS GO telegram group. EOS Go is maintained by EOS Asia. Token prices from Newdex.